Gregg Kelley of California Olive Ranch taste tests his competitor's brand. As a nation, we're consuming more olive oil than ever before. And the bottles labeled the extra virgin, product of Italy, are the top-sellers. But as NPR's Allison Aubrey reports, U.S. farmers from Texas to California are producing more and more olive oil these days. And they have a problem with all these imports. They say, in many cases, consumers aren't getting what they paid for. ALLISON AUBREY, BYLINE: I had never really heard of Texas olive oil or much about olive oil from Georgia or California. But domestic production is expanding, and the people who produce it met up in Washington yesterday to testify before the U.S. International Trade Commission. 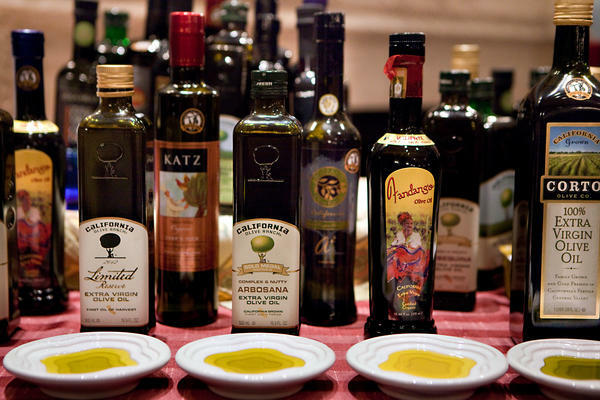 The commission is investigating competition in the olive oil industry. And the complaint that domestic producers have: they say their foreign competitors are not playing fair. GREGG KELLEY: First and foremost, consumers oftentimes aren't receiving what they think they're purchasing when they buy a bottle of extra virgin olive oil. AUBREY: That's Gregg Kelley, the CEO of California Olive Ranch. He says the extra virgin olive oil he produces in California is just that. It's produced without heat or solvents. It's tested for purity, and it's stamped with a harvest date so consumers have a way of knowing it's fresh. This matters because the flavor and the beneficial nutrients of olive oil deteriorate over time. But Kelley says his foreign competitors rarely put this information on the label, and oftentimes, what is on the label of imported oil is misleading. To make his point, he took us on a field trip to a Safeway grocery store, where he inspected the labels on bottles of olive oil. AUBREY: Says, imported from Italy. So this must be from Italy, right? KELLEY: One would think this is Italian olive oil. 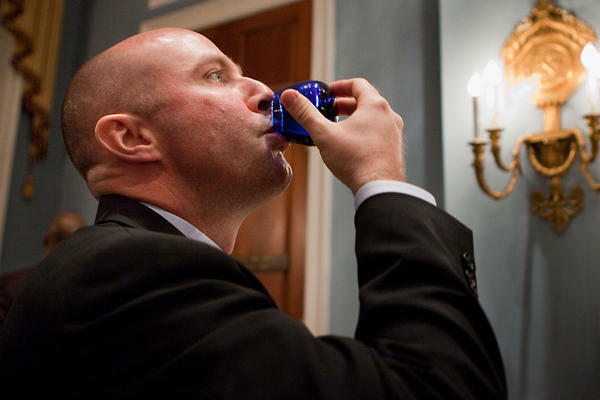 KELLEY: We turn the bottle around. An inspection of the back label has in very small writing, E. V. olive oil, so I would assume that means extra virgin olive oil, from E-S-T-N-C-L.
AUBREY: Which means the oils comes from the countries of Tunisia, Chile and Spain. So these olives weren't grown in Italy? 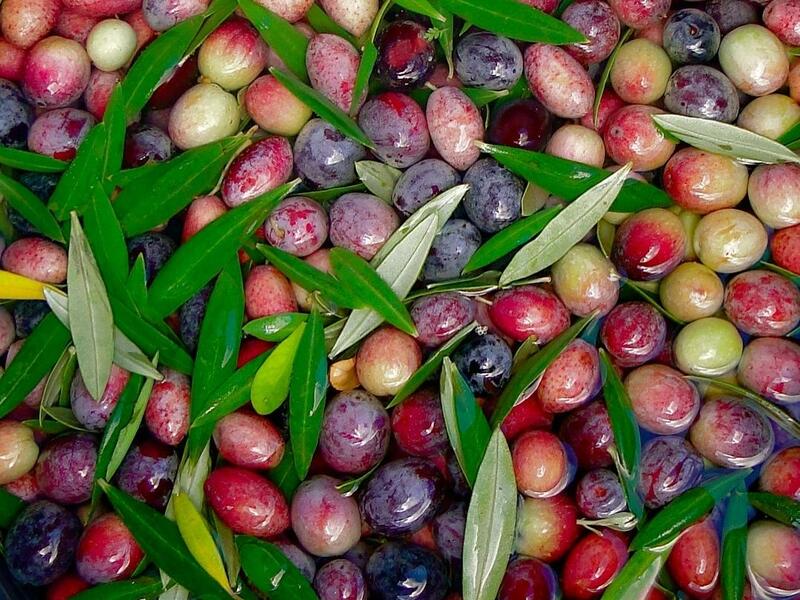 KELLEY: These olives were not grown in Italy, and this oil likely was not produced in Italy. At one point in time, it must've hit the Italian shores before making its long trip across the Atlantic Ocean. AUBREY: Kelley told the trade commission that these misleading labels are not his only complaint. There's also the issue of what qualifies as extra virgin olive oil. Currently, there's no commercial definition in the U.S. He'd like to see a national standard and mandatory testing. The trade commission heard testimony from scientist Selina Wang of UC Davis, who ran tests on foreign olive oils labeled as extra virgin. And she says many of them didn't past muster for purity or taste. DR. SELINA WANG: We've done 207 samples in the last two years, and our results are consistent. About 65 percent of supermarket olive oil are not extra virgin. AUBREY: Now, the trade association that represents many foreign producers of olive oil was also at the hearing. It's called the North American Olive Oil Association. Eryn Balch is the executive vice president. She says the UC Davis taste test were biased because they were funded by California producers. And she rejects the criticism that importers are not playing fair. ERYN BALCH: I think the complaint is highly exaggerated. AUBREY: She says, on the whole, her members comply with labeling requirements, and their products are routinely tested to make sure they're not adulterated with other oils. BALCH: We have ongoing consistent testing throughout the year. AUBREY: And Balch says they support additional testing and a new national standard. For now, U.S. olive oil producers have only 2 percent of the market. But they're growing quickly, and the trade commission is expected to issue its report next year. Allison Aubrey, NPR News. Transcript provided by NPR, Copyright NPR.